ARCTIC MOUNTAIN FRONT SUSPENSION WITH ARCTIC CAT GAS IFP SHOCKS: The Arctic Mountain front suspension packs the essentials. The ProClimb-7 mountain ski is 7 in. at the tip, tapering to 6.5 in. at the center to enhance your carving. Single-post, angled-out spindles help you shed some sled weight while maximizing quality and strength. 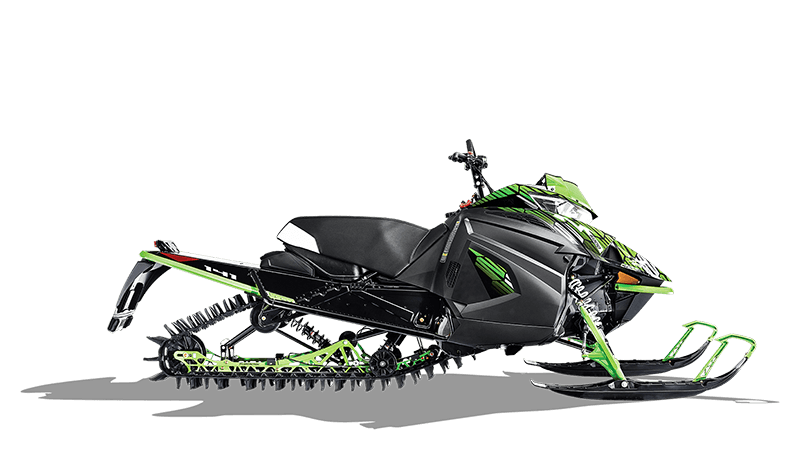 Arctic Cat gas IFP shocks feature a hard-anodized aluminum body, 0.5 in shaft, aluminum internal floating piston, and high-quality seals and ice scrapers. For added strength, the eyelet on the shaft end is forged, replacing the welded design. VERTICAL STEERING POST WITH 4.5" RISER AND MOUNTAIN HANDLEBAR: Want to counter-steer on steep hills? This 4.5″ vertical post provides a more natural handlebar turning arc when you’re riding standing up.